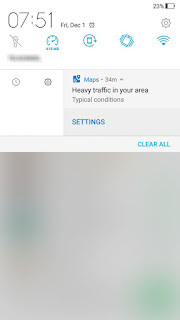 It’s been six months since Google rolled out the final stable version of the Android 9.0 update. 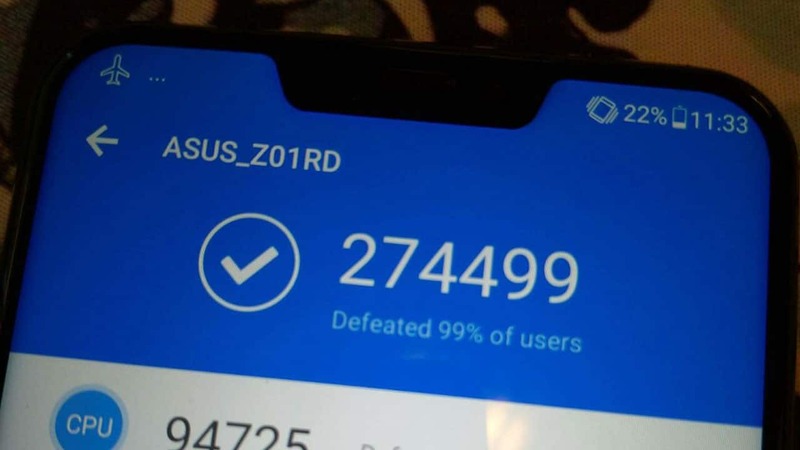 That said, at least Asus made it easier on phone owners and announced an Android 9 Pie upgrade plan for its phones at zentalk. 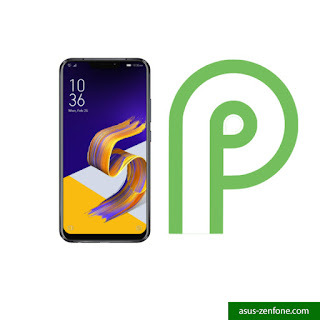 Of note is the Zenfone 5Z, which already received its Android 9 Pie update at the end of January. The Zenfone Max Pro M2 also received the update, albeit in beta form and with the inability to downgrade to Android Oreo if something goes wrong. 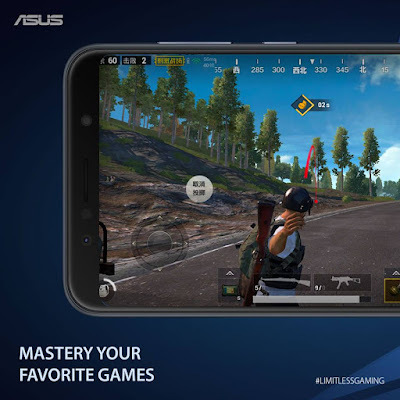 Asus didn’t say exactly when the devices would get Android 9 Pie, only that they would get the update this year. 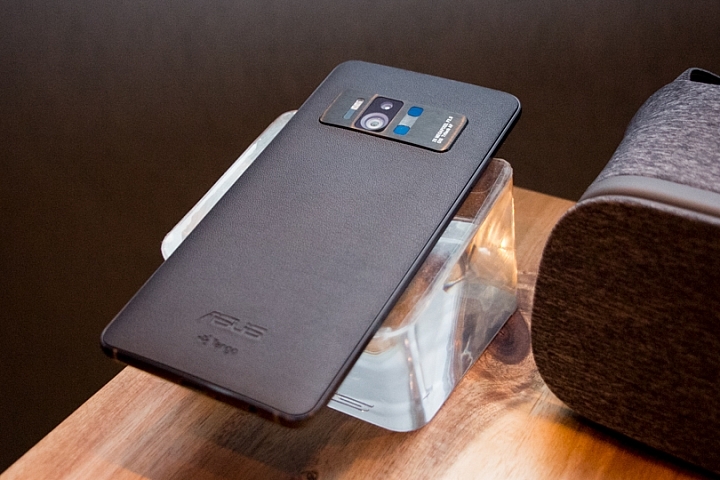 Asus also didn’t state if it’s prioritizing some handsets over others. We’ll have to wait and see how Asus’ upgrade plan unfolds as we go further into 2019. The ASUS ZenFone 6 is the successor of the ZenFone 5 ZE620KL launched last year. 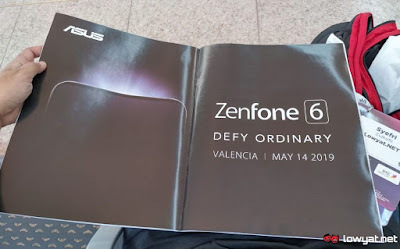 Not to be confused with first generation of ZenFone 6 back in 2014, the new ZenFone 6 launch leaked by lowyat.net journalist when picked up their MWC press in Barcelona El-Prat Airport. The launch date was shown in an advertisement inside the Official Show Preview for Mobile World Congress (MWC) 2019 by Mobile World Live which is a publication owned by GSMA, the people behind MWC. Scheduled to launch on May 14th, the ad also tell us the launch event will take place at Valencia, Spain. From this ad we could see the first appearances of ZenFone 6 2019 with tagline "Defy Ordinary"
Anyway, the teaser is pretty vague, but it's probably safe to say that the handset won't have a notch and particularly slim bezels. Perhaps we are looking at yet another slider phone or a periscope-like selfie camera? Either way, we still have a lot of time until the May 14 unveiling and even more leaks to come in the meantime. 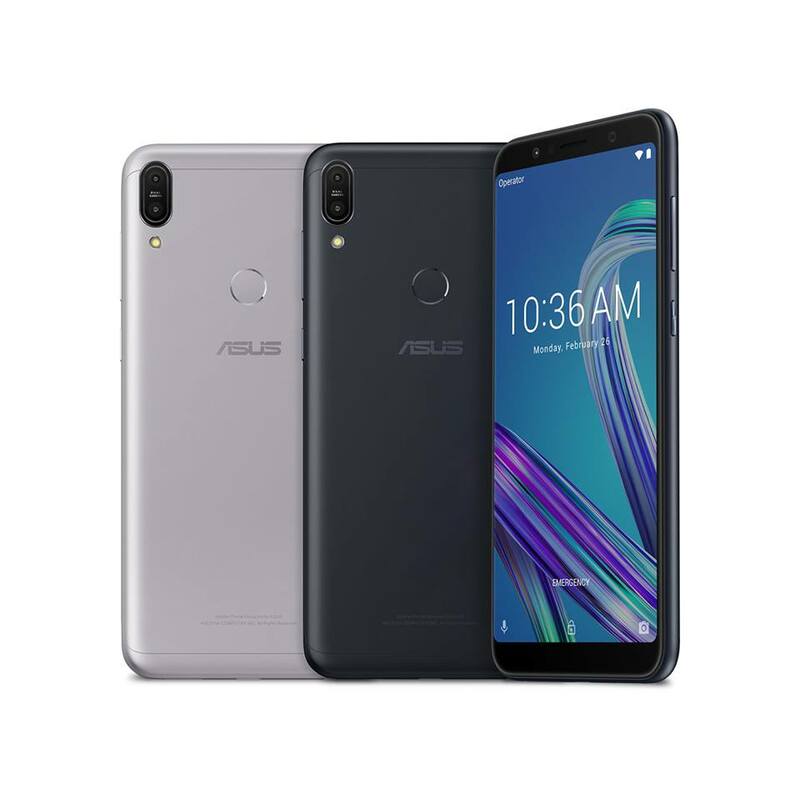 ASUS finally introduce their new budget device ZenFone Max Pro M1. in India ZenFone Max Pro M1 is Flipkart-exclusive and in Indonesia ASUS partnered with Lazada to sell ZenFone Max Pro M1. 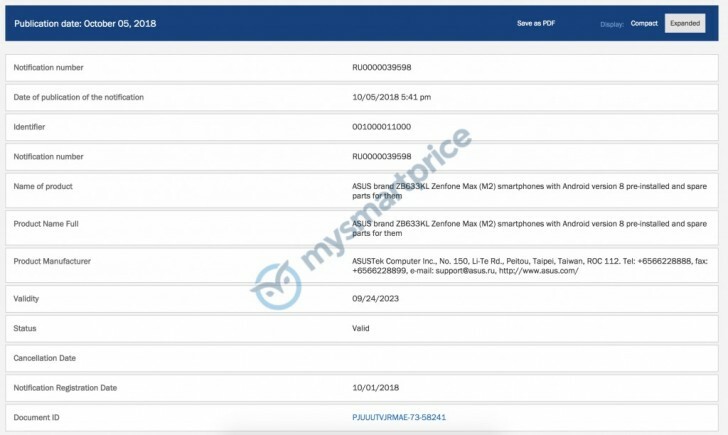 Same with rumors couple days ago, ZenFone Max Pro M1 using 6-inch IPS LCD and 5000 mAh battery. ZenFone Max Pro M1 has dual camera on the back, 14nm Qualcomm Snapdragon 636 Octa Core chipset with either 3GB, 4GB, or 6GB of LPDDR4 RAM. 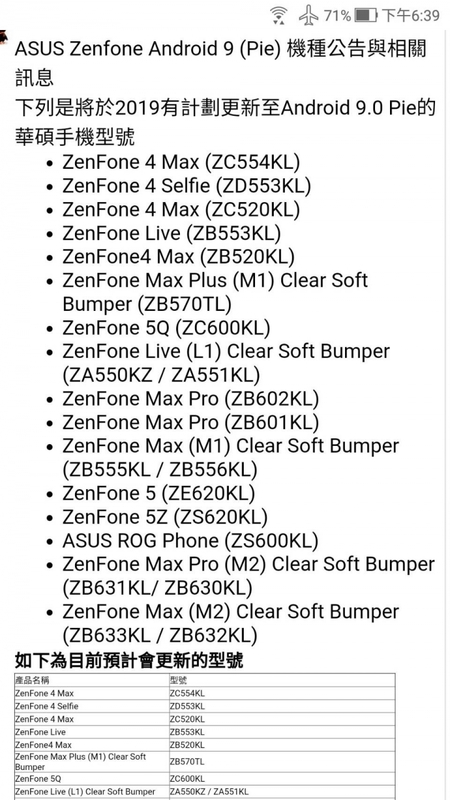 ZenFone Max Pro M1 has two camera configurations based on RAM capacity, for 3GB and 4GB RAM models has 13MP+5MP on the back and 8MP for front facing camera. 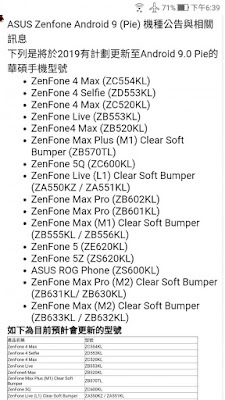 The more premium ZenFone Max Pro M1 with 6GB RAM will have 16MP+5MP rear and 16MP selfie camera. The rumors also true about ZenFone Max Pro M1 OS, ASUS using Pure Android 8.1 Oreo on this device and promising two major OS updates until Android Q. With 5000 mAh battery ZenFone Max Pro M1 come with quick charging support allowing you to fill it up in just 2 and half hours. ZenFone Max Pro M1 will be able to use Dual SIM + Micro SD simultaneously. The Asus Zenfone Max Pro M1 will be a Flipkart exclusive in India and its first flash sale will be on May 3 - you can register on Flipkart's site. 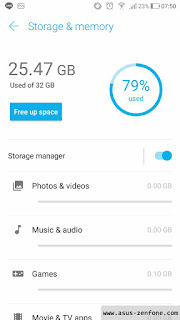 Price-wise the 3GB/32GB model will go for INR 11,000 (€135), the 4GB/64GB model costs INR 13,000 (€160) and the 6GB/64GB will top out at INR 15,000 (€185). 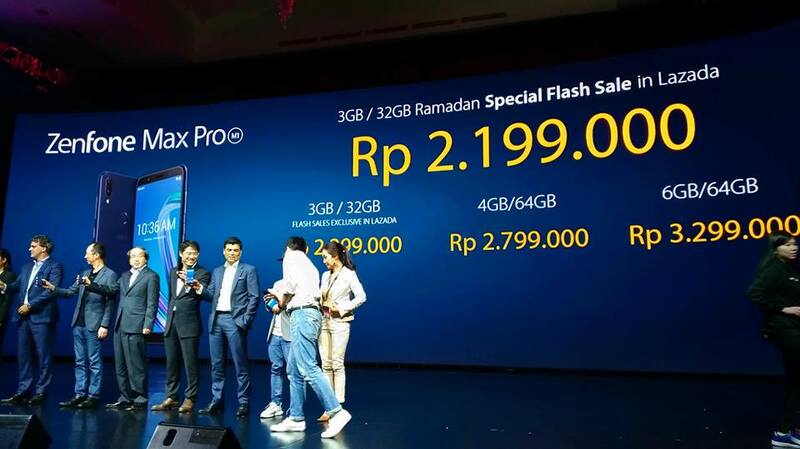 The Asus Zenfone Max Pro M1 3/32 also will be a Lazada exclusive in Indonesia and its first flash sale will be on 25th Aprill at 11.00 AM. 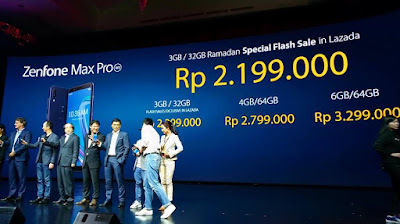 Price-wise the 3GB/32GB model will go for Rp 2.199.000, the 4GB/64GB model costs Rp 2.799.000 and the 6GB/64GB will top out at Rp. 3.299.000. Color Deepsea Black and Meteor Silver. 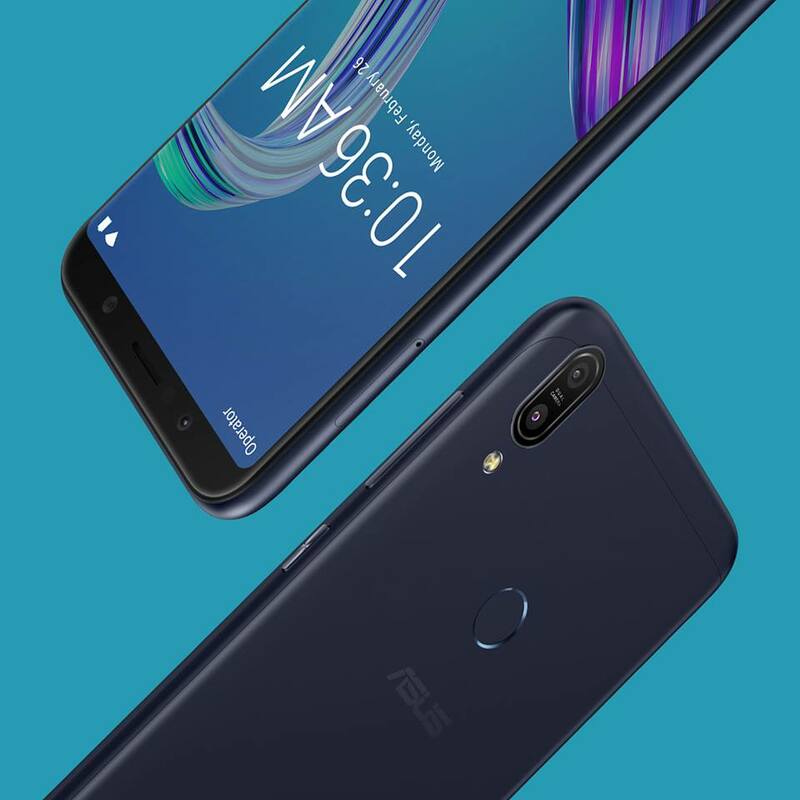 New ZenFone Max Pro M1 will be launch on April 23 in India and Indonesia. Today ZenFoneblog got some specs leaked including the chipset, RAM storage, and stock android experience. 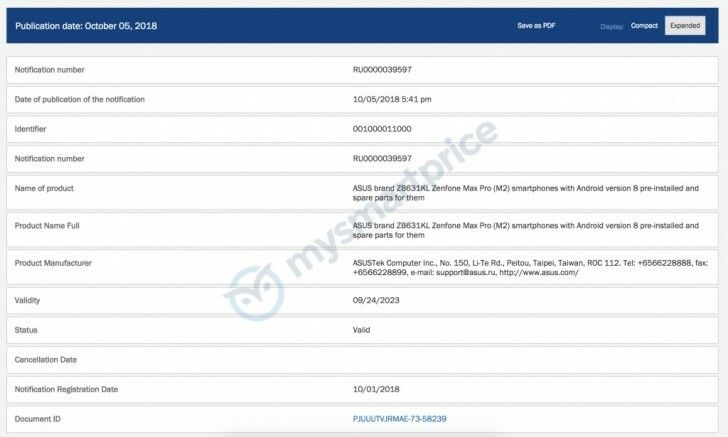 According to Rumors ZenFone Max Pro M1 will sport 6 inch screen with Qualcomm 14nm processor Snapdragon 636, a slightly less powerful version of the Snapdragon 660 (it still features an octa-core Kryo processor). 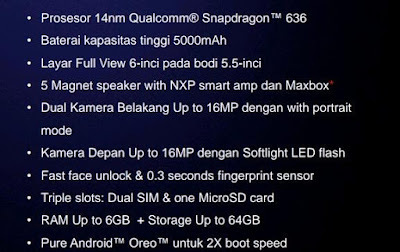 The rear dual-camera of ZenFone Max Pro M1 up to 16 MP with potrait mode and the front camera also 16MP. ZenFone Max Pro M1 also capable to unlock device with face unlock like its predecessor ZenFone Max Plus M1. 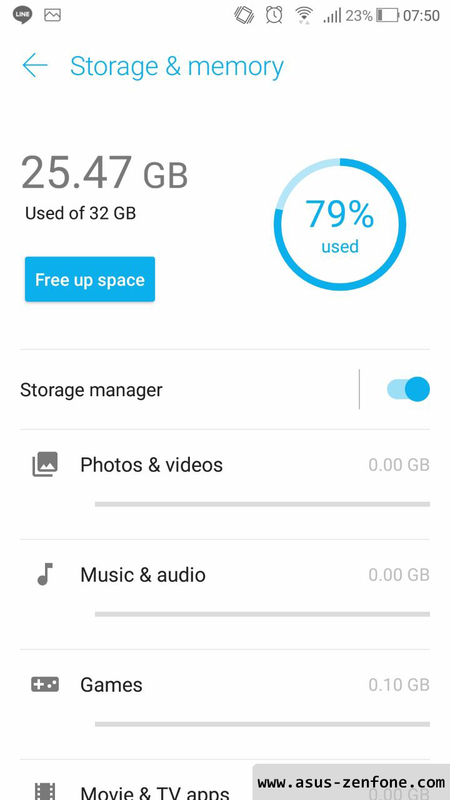 Next to storage, we see up to 6GB of RAM and up to 64GB internal storage. ZenFone Max Pro M1 also using triple slots for dual sim + micro SD. 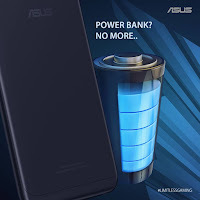 Big battery backup is avalaible in ZenFone Max Pro M1 with 5000mAh battery. 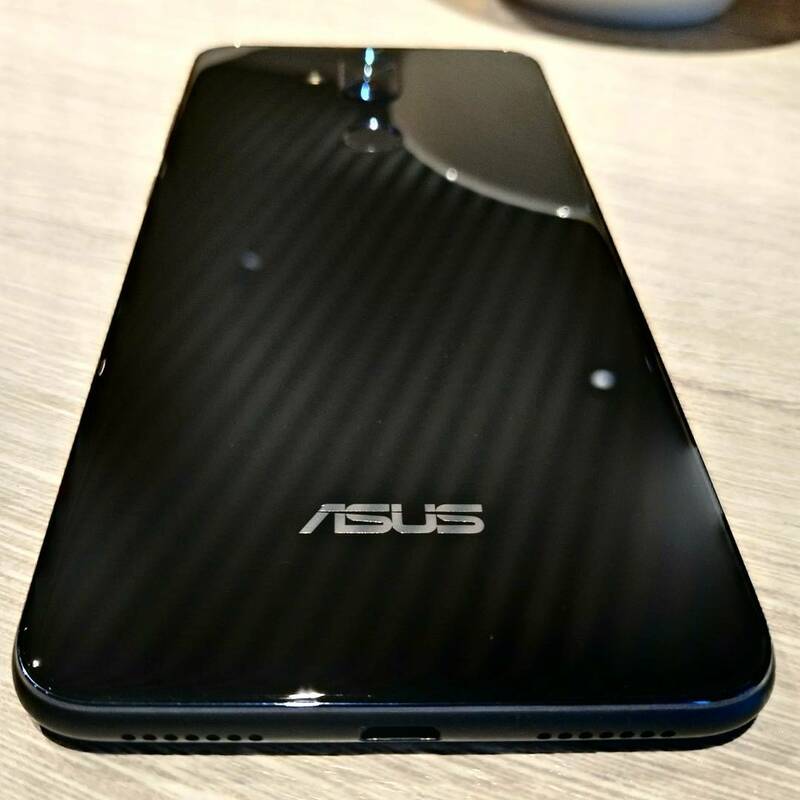 According to rumor, ZenFone Max Pro M1 will be the first ASUS device with pure android experience (Android Oreo). 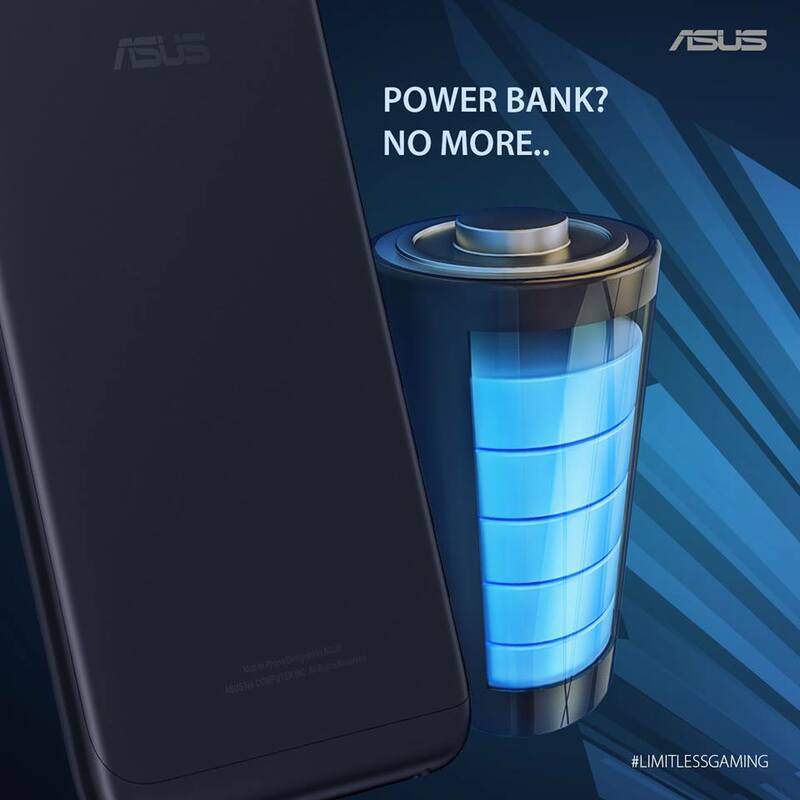 ZenFone Max Series is one of ASUS mid-range smartphone, The first ZenFone Max (ZC550KL) was announced back in 2015 with huge 5000 mAh battery. After ZC500KL ASUS also launched ZenFone 3 Max in 2016, ZenFone 4 Max in 2017, and ZenFone Max Plus (M1) in late 2017. 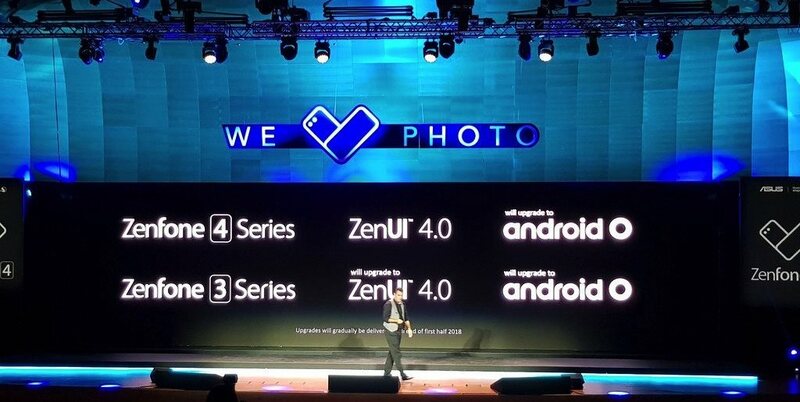 In MWC this year ASUS announced New lineup of ZenFone 5 Series with notch and Full-view display. 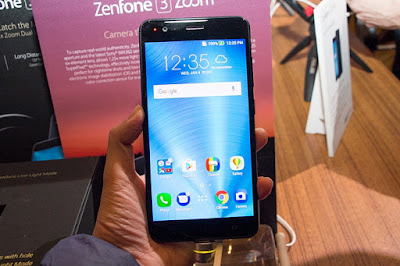 ZenFone Max series is quite popular in south-east Asia due to it's competitive price and big battery. Also in MWC this year ASUS released ZenFone Max M1 with 5-5 inch full-view display and 5000 mAh battery, but there no specific detail about this smartphone. Today ZenFoneblog receive an information there will be New ZenFone Max series launch in Indonesia. 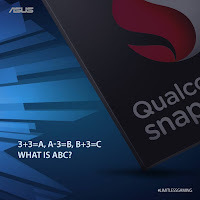 New ZenFone Max will be powered with Qualcomm Snapdragon 636 make it's one of the first phone in the world to be powered by Snapdragon 636 mobile platform. 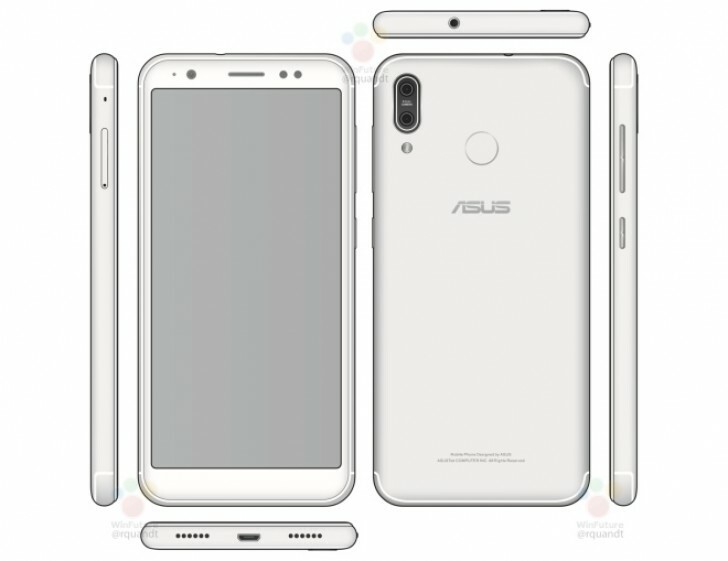 Based on teaser, New ZenFone Max has a 5.5-inch full-view display in an amazingly compact body that's no larger than many standard 5-inch smartphones, yet comes packed with a high-capacity 5000mAh battery. 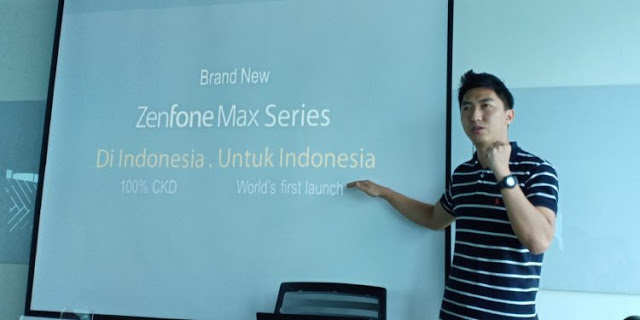 The new ZenFone Max World's first launch event will be held in Jakarta, Indonesia on 23rd April. After announced their newest ZenFone line in MWC 2018, ASUS offically coming to Philippines. 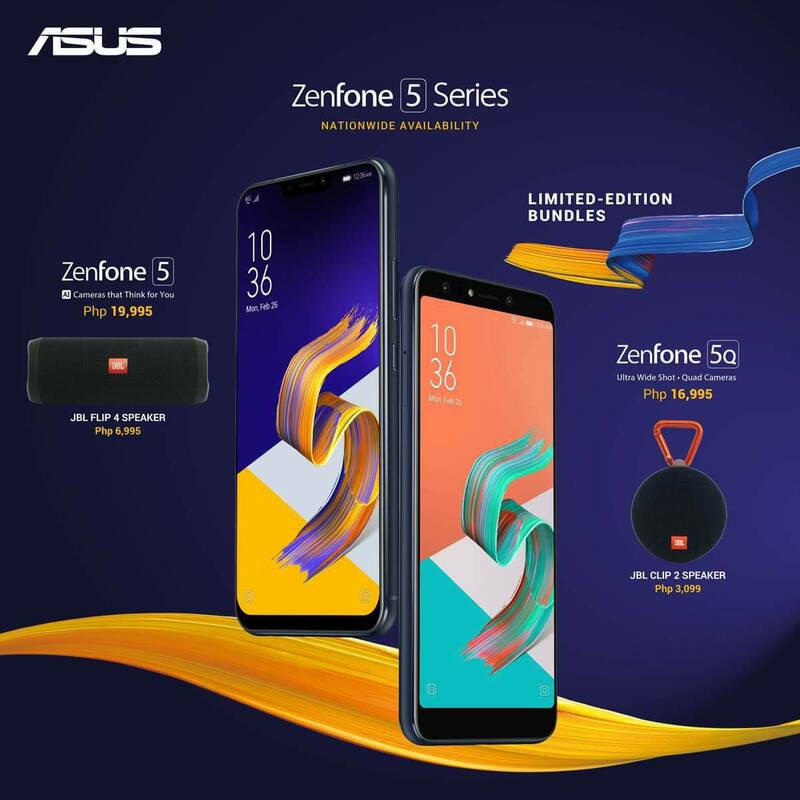 All the three ZenFone 5 series (ZenFone 5Q, ZenFone 5, and ZenFone 5Z) will be available for sale in Philippines. 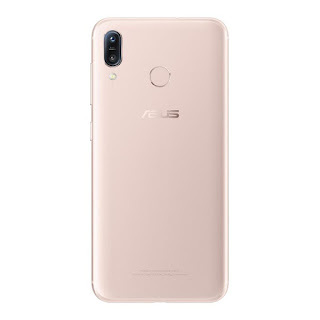 ZenFone 5 equipped with Snapdragon 636 processor, 6.2 inch display with notch, dual camera 12 MP and wide angle lens, and runs Android 8.0 Oreo. 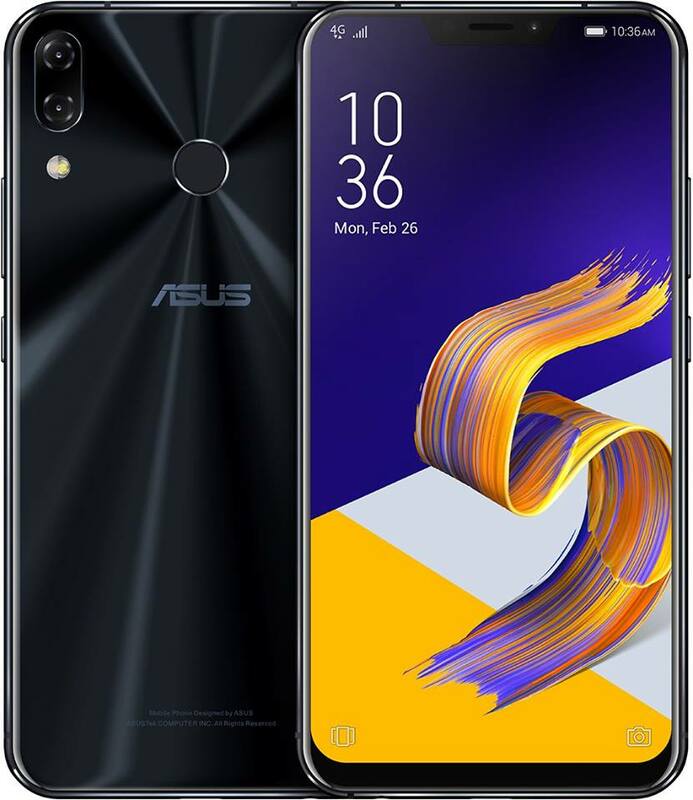 ZenFone 5Q powered by a Snapdragon 630 processor with 4GB RAM and 64GB of internal storage. 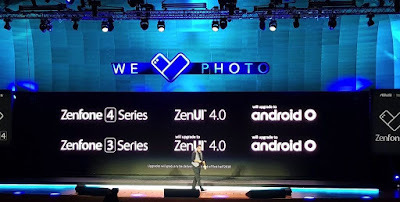 ZenFone 5Q using quad-camera with 20MP selfie camera and wide angle, at the back using 16MP and wide angle camera. 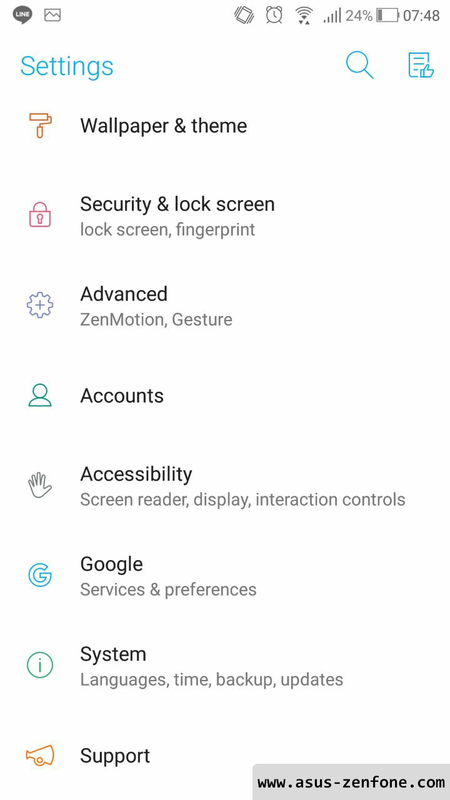 ZenFone 5Q also runs Android Oreo. ZenFone 5Z using latest Snapdragon 845 processor which makes it premium and flagship among other ZenFone 5 line. 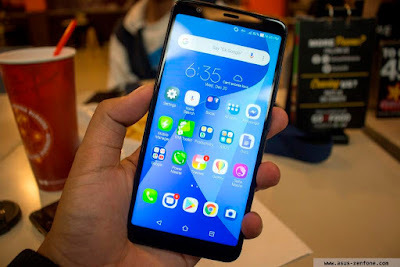 The ZenFone 5 is priced at PhP 19,995 while the more premium ZenFone 5Z will retail for PhP 29,995. The ZenFone 5Q will cost PhP 16,995. The ZenFone 5 and 5Q are in stores starting today and the ZenFone 5Z will be available come July. 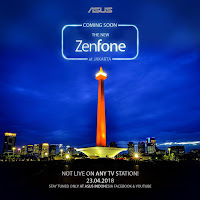 ZenFone 5 will be launch at 27th February this year at MWC. 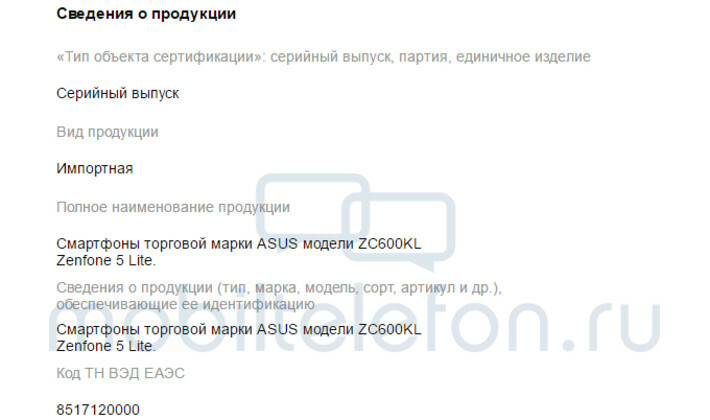 And the upcoming model has been listed on Antutu Benchmark with Z01RD model name. 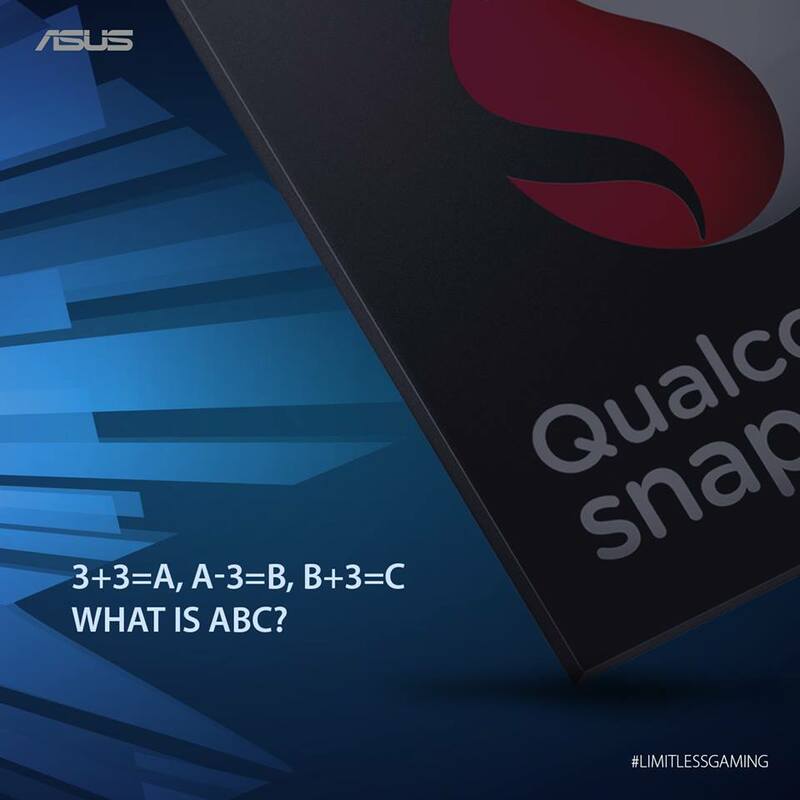 There are some key specs it's expected to feature such as Snapdragon 845 chip by Qualcomm, 6GB RAM, adreno 630, Android 8.0 and 32GB ROM. Z01RD also equipped with FullHD+ resolution 2246 x 1080p. The Antutu listing also included Z01RD benchmark score 238129 points. 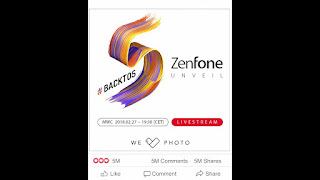 ASUS has scheduled a Zenfone 5 announcement for February 27 in Barcelona, with #backto5 tag line. 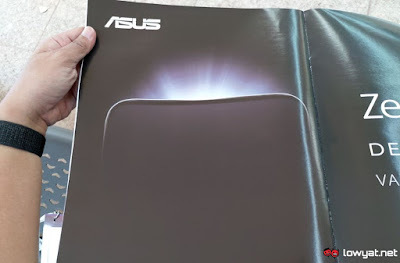 Several pictures taken from a manual show the unannounced Asus ZenFone 5 from all angles. The information contained in the document also confirms the smartphone will feature a 5.7-inch display with 18:9 aspect ratio. 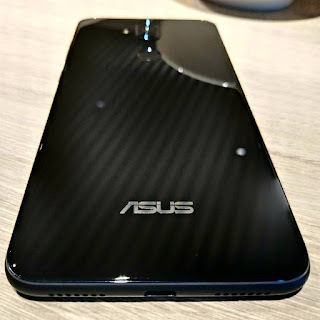 Another day, another alleged photo of the ZenFone 5. The latest shots comes @marcelcampos instagram, which includes a photo that show the back glass of ZenFone 5. Based on the leaked image ZenFone 5 will have back glass design similar with ZenFone 3 and 4 design with fingerprint sensor on the back. 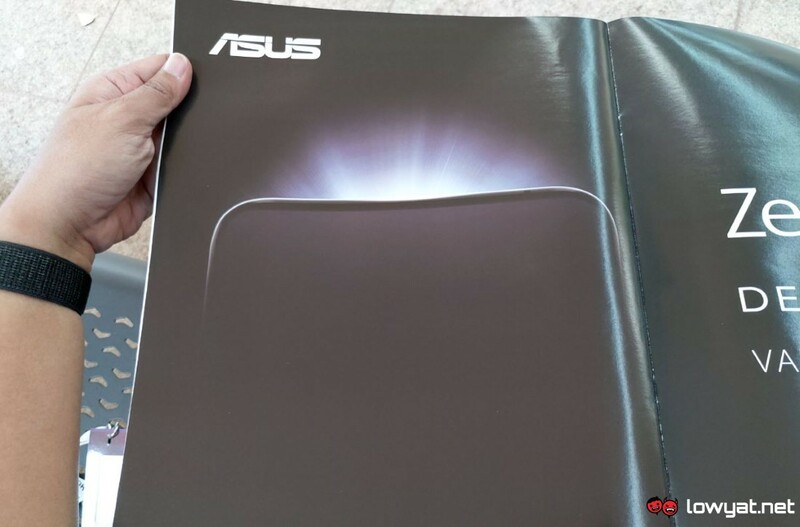 There also dual camera and asus logo on the back. According to Evan Blass, the phone has Dual 16MP main cameras and dual front-facing 20MP cameras for selfies and portrait camera features like (presumably) beauty mode and artificial bokeh. Based on leak image, Asus still use the 3.5mm audio jack, which is positioned on top of the smartphone. The microUSB port is included at the bottom between speaker and mic. Fingerprint on the back and dual camera in vertical position. Based on this configuration its looks like ASUS mid-tier smartphone in ZenFone 5 series. ASUS will unveil its new smartphone ZenFone 5 at the upcoming Mobile World Congress in February based on new teaser with tag #Backto5. Based on the teaser ZenFone 5 will have 18:9 display with slim bezel, similar their first fullview smartphone ZenFone Max Plus M1. There will be live stream coverage at ASUS Facebook page and ASUS Youtube channel. Zenfone 5 will be unveiled on 27 February 2018 at Mobile World Congress at 19:30 [CET]. When it comes to the Android Oreo update, ASUS has promised to release the update for ZenFone 4 at December 2017 and ZenFone 3. 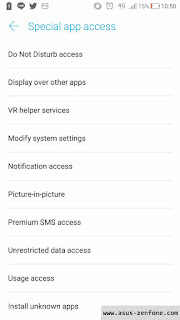 After Rolling out an Oreo update for ZenFone 4 in December 2017 it seems ZenFone 3 is the next priority. 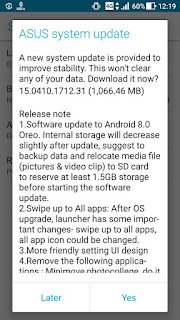 The oreo update for ZenFone 3 ZE520KL and ZE552KL was officially released on today system updates. It takes about one week for the system to complete the autopush, if you did not receive the updation, please go to 【Setting】->【About】->【System Update】to update manaully. 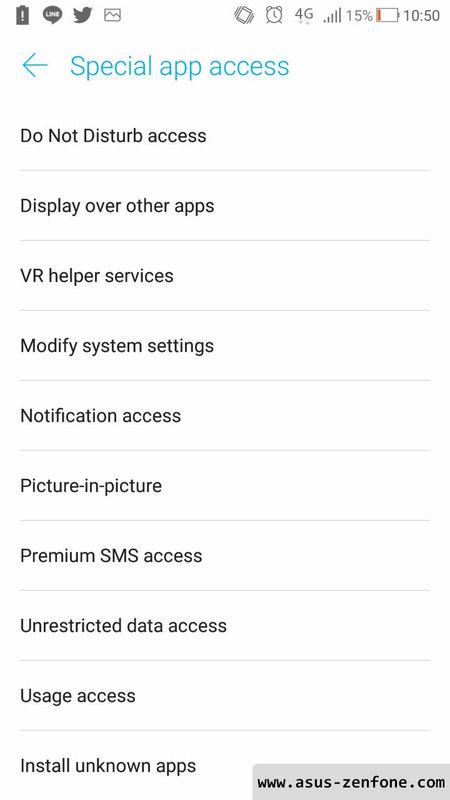 Android 8.0 Oreo includes picture-in-picture functionality, enabling users to continue watching a video while using another app. 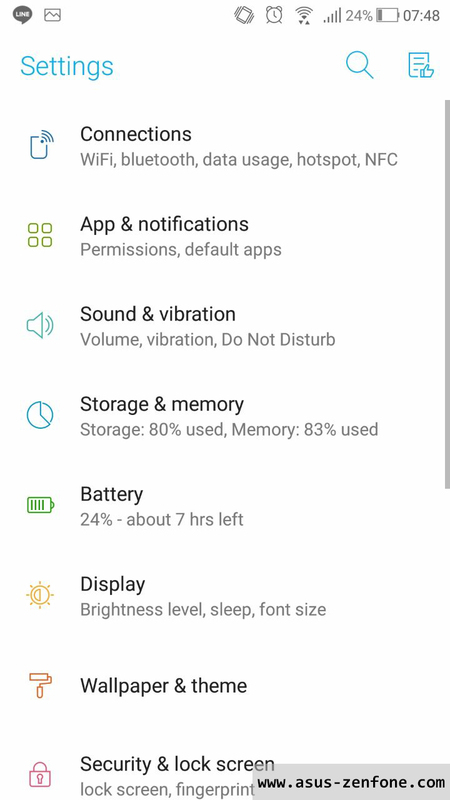 There are also new battery life improvements, better auto-fill options and notification indicators on app icons. The next ZenFone series seems to be closer than we have expected. Asus plans to shorten the time span between new releases. 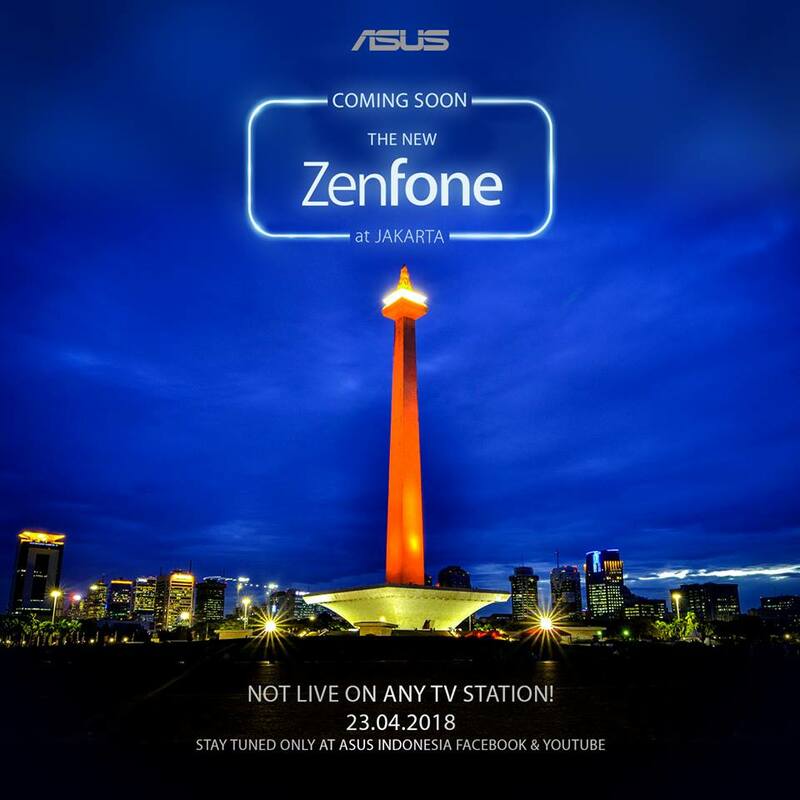 According to Asus' CEO Jerry Shen, we should expect the first ZenFone 5 smartphones to be unveiled as early as March. However, it's unclear whether they will be announced at MWC (Mobile World Congress). 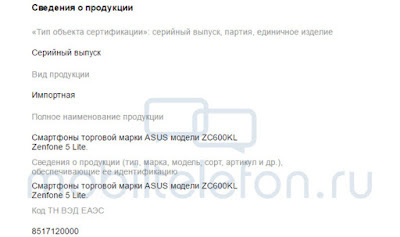 It looks like the Asus ZenFone 5 series is almost ready for prime time since the first device has just been certified in Russia. 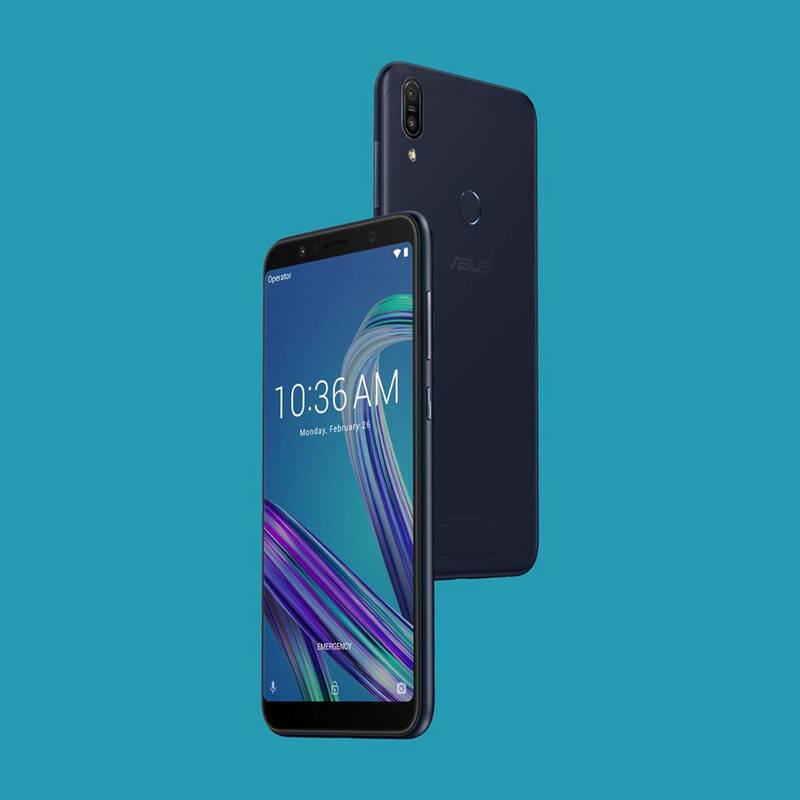 The Asus ZenFone 5 Lite is probably a mid-range handset that will pack a 6-inch display and a Qualcomm chipset. Apparently, the letters and numbers in the phone's model number (ZC600KL) refer to some of its specs. 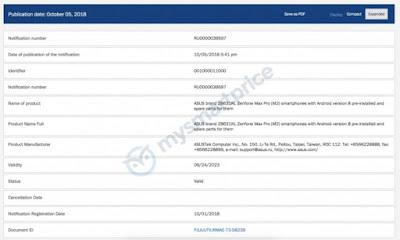 The letters “KL” are meant to confirm the ZenFone 5 Lite is equipped with a Qualcomm processor and that it includes LTE support, and "ZC" refers to ZenFone Max model. Also, the number “600” in the model number might suggest the phone sports a large 6.0-inch display. It remains to be seen if the display will feature an 18:9 aspect ratio or not. 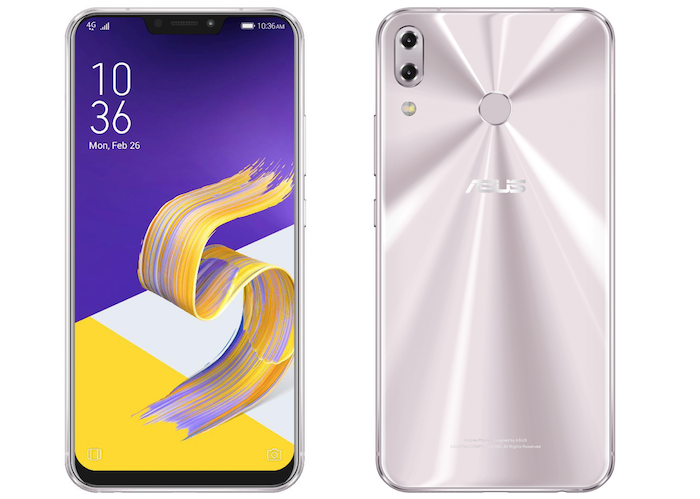 That's about all we know about the first ZenFone 5 series smartphones that appeared online, but we believe more information on other devices should pop up sooner rather than later. When it comes to the Android Oreo update, ASUS has promised to release the update for ZenFone 4 at December 2017 and ZenFone 3. 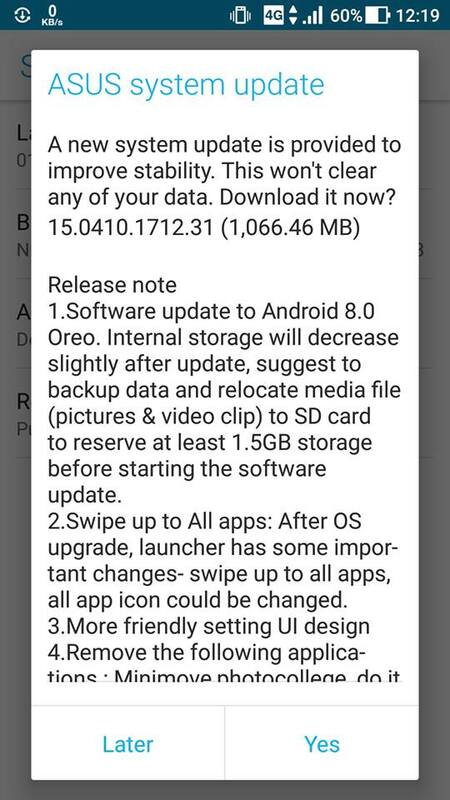 The company promised an Oreo update in December and they delivered. The company also promised to release Android Oreo for ZenFone 3 in the first Q1 of 2018. 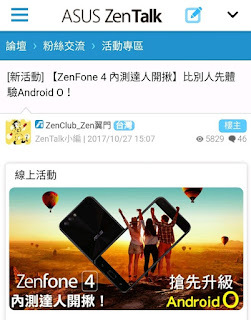 The oreo update for ZenFone 4 was officially announced on ZenTalk community forums today. It takes about one week for the system to complete the autopush, if you did not receive the updation, please go to 【Setting】->【About】->【System Update】to update manaully. ASUS ZenTalk Taiwan region announced a beta program for Android 8.0 Oreo for the Zenfone 4 ZE554KL last month. Although we know that ASUS latest two generation smartphones (ZenFone 3 and ZenFone 4) will eventually get the taste of Android Oreo, we didn't have clear indication of when the update will be rolled out. 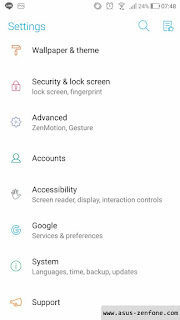 Oreo Beta tester for ZenFone 4 ZE554KL already open for registration start from 1st November 2017. On 1st December 2017 one of the ZenCare or moderator ZenTalk forum confirm that the company is going to release Android 8.0 Oreo update for ZenFone 4 user in December. 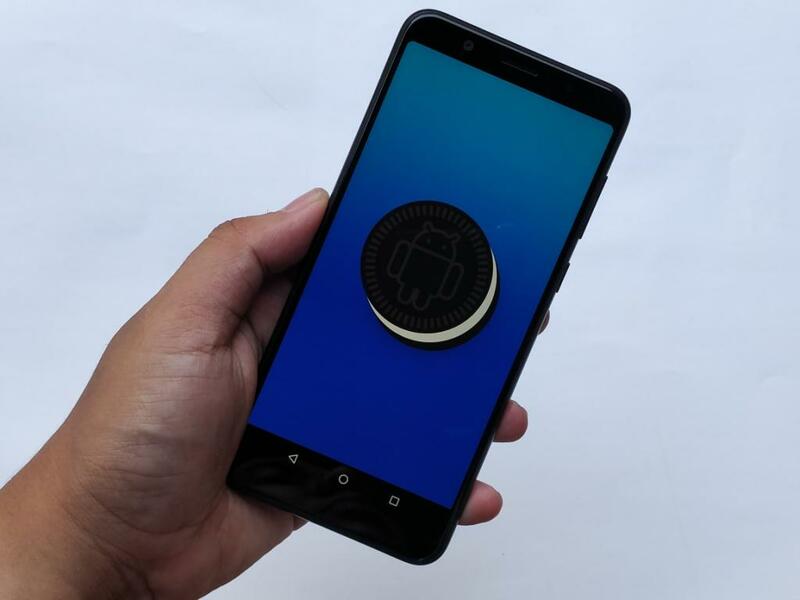 Although ASUS didn't specifically say the date for the final Oreo update will hit ZenFone 4, we can assume that it will happen sooner than expected. What to expect from Android 8.0 Oreo ? 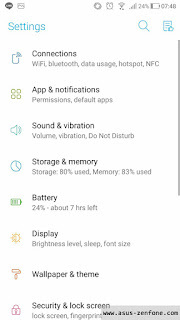 Android Oreo will bring some improvements over Nougat, including extended battery life, improvement in security via Google Play protect that checks malweare in applications, and faster booting. 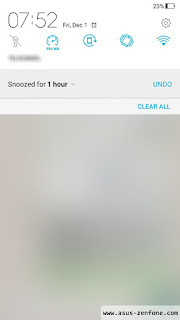 The update will also include new features like picture-in-picture to do task while watching video or navigations. 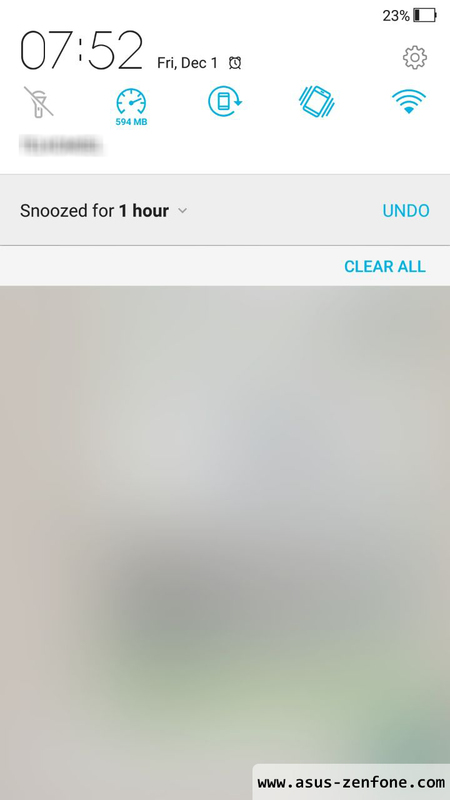 Picture-in-picture sure available in zenfone oreo (you can see here at zenfone 3 oreo beta), Smart Text Selection that improves copy and paste and machine learning abilities to recognise entities on the screen. The ASUS ZenFone 3 released back in August 2016, but ASUS still giving software updates regularly to ZenFone 3 Series. At the launch of ZenFone 4 ASUS also promise to give ZenFone 3 update to Android Oreo 8.0. And back to previous news about ZenFone 3 running android oreo 8.0 beta, today ZenFoneblog will show some Android 8.0 ZenUI previews on ZenFone 3 ZE520KL. 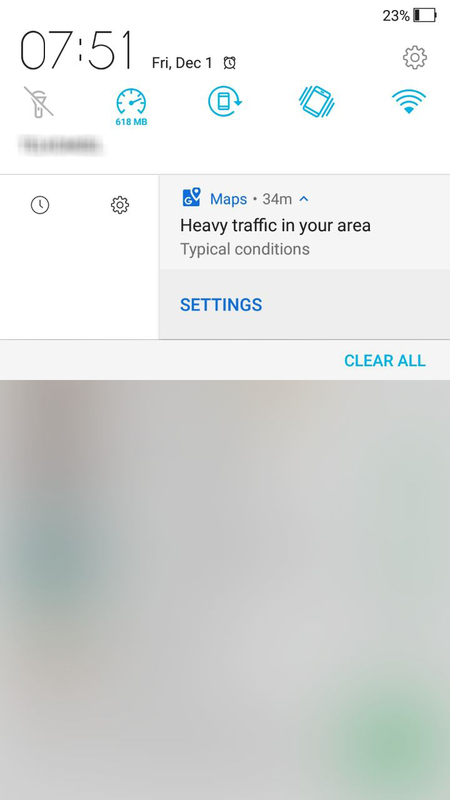 Being based on the latest Android version 8.0, most key of Oreo features like picture-in-picture mode, improved background app limiting and notification updates are all there. 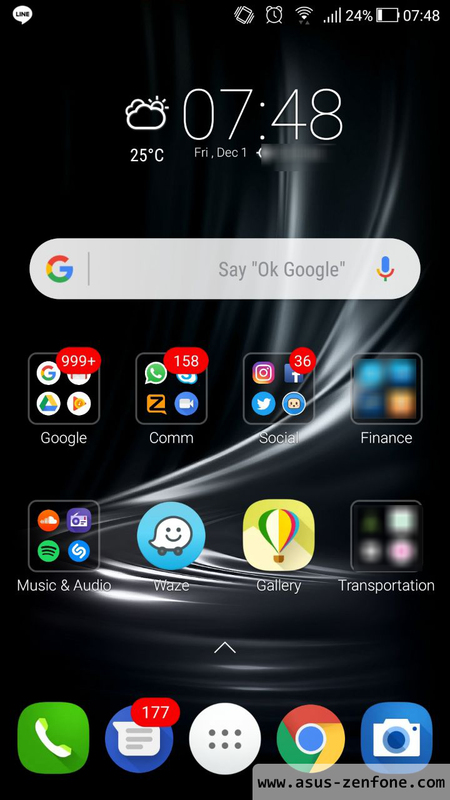 Based on styling and look there is no big different between Nougat and Oreo.